Biometics began in 1993. For over ten years this company has grown by word of mouth and has prospered. Thousands and thousands of happy people now believe that what Biometics has to offer is the real deal. Biometic products are made using a process called Emusol Micellization or Biocelluar Micellization. These products are safe for pregnant women and children. As with any supplement, it is always best to talk to your doctor before you start adding to your diet. There is no added sugar in our products, they contain only fructose, which is found in honey, fruits and parts of plants. No herbal supplements are approved by the Federal Drug Administration, this includes all Biometics products. However, these products are all manufactured in a state of the art facility, approved by both the FDA and OTC. This facility ensures that you will always have the highest quality, purest product that your money can buy. People choose Biometics because the products are easy to take liquids, that usually don’t taste like vitamins or minerals. Most have a fruity taste. There is an AM program that offers vitamins for daytime health and energy. There is a PM program that helps you sleep better at night. 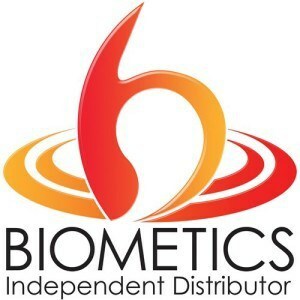 Biometics offers a 100% money back guarantee on all products if you are not completely satisfied, they recently merged with Youngevity. 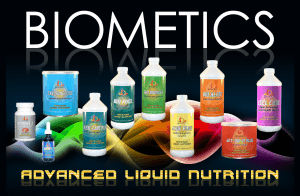 Biometics offers a complete line of products to help you feel good from A to Zinc. Each all natural supplement has been specially designed to offer the maximum amount of vitamins and minerals needed for specific functions. Listed below is the full line of Biometics products and the wonderful benefits of using each one of them. The happy stomach solution. Aloe Plus is loaded with aloe vera concentrate which is very soothing to the digestive system. Aloe Plus helps other vitamins and nutrients absorb much quicker. Aloe Plus has 100% the US recommended daily allowance for Vitamin C added to this delicious fruit flavored drink. As aloe softens the skin, Aloe Plus softens the lining of the digestive tract for optimal absorption of other nutrients. Aloe Plus can be taken any time of the day or night, and can be taken by anyone. This special formula acts as liquid base for all the other Biometics products. Stomach soothing and health promoting, Aloe Plus is a winner for everyone. A super solution that helps you focus better: This formula pairs B Vitamins with Choline – a water soluble essential nutrient. It helps to enhance your energy, focus and mental clarity. The strong B Vitamins in Bio Alert increases memory recall. Together with the Choline, they play a very important role in transmitting nerve impulses. Some research shows that Choline can help reduce high blood pressure, prevent the accumulation of fat in the liver, improves liver and kidney functions, and helps dissolve cholesterol and fat. Your daily health defense formula. Bio Immune uses a combination of botanicals, extracts, and essential nutrients, including Zinc, Quercetin and Echinacea. Each of these helps enhance your health and your overall wellness. This solution of potent herbal ingredients helps support the body’s own immune system. You can only feel better when you take Bio Immune. Your premium daily multivitamin. This liquid formula is made with the antioxidants found in Grape Seed extract, Green Tea extract and Ginkgo Biloba extract. With many other essential vitamins added, Bio Fuel is more than just a vitamin, it is a total energy source. Bio Fuel provides 100% of the daily allowances for many essential vitamins. This complete nutrition is enough to support active lifestyles. The antioxidants are necessary for the constant demands we place on our bodies. With up to five times the absorption rate as standard supplements, Bio Fuel is the prefect liquid multivitamin to energize your life and get you up and moving quickly. An enhanced fish oil supplement. These are actually soft gel caps. Biomega 3 provides three to five times better absorption rates than other fish oil capsules. Biomega 3 helps supplement heart, brain and eye health. For a good night’s sleep. Formulated with melatonin, chamomile and valerian, this non-habit forming liquid turns restless nights into a full night of sleep. Our bodies go through a lot of stress in one day. These demands constantly keep us going all throughout the day. When night time comes we find it hard to shut down and get to sleep. Sleeping helps the body repair itself. Proper sleep prepares you for the rigors of the next day. Bio Nite helps to prevent those sleepless night. With no hazards, and no side effects like prescription sleeping pills, Bio Nite is the perfect liquid to drink just before bed. Anti-aging, super antioxidant, with a formula for perfect health. This unique blend of water-soluble and botanical antioxidant nutrients are formulated to work together for your overall health. This delicious fruit flavored liquid works on a cellular level, making you feel great from the inside out. Using Cell Care’s anti-aging formula every day is essential to protect the heart, brain and eyes. Slow down your own aging process. With Cell Care as part of your daily routine, you will soon notice you feel as young as you look. For optimal bone protection. Each liquid dose of Cal/Mag contains 100% the US daily allowance of Calcium, Magnesium and Zinc – plus added Vitamin D. This special balanced formula is easily absorbed by your body. Everyone knows that calcium is necessary for strong bones; it is also essential for helping the heart to beat and the muscles to move. Magnesium works on moving nerve impulses and helps support healthy heart functions. Zinc is needed for proper growth and to support a healthy immune system. Magnesium and Zinc work together to help the body absorb Calcium more efficiently. For advanced joint care. This all natural liquid supplement contains Glucosamine, MSM (or methylsulfonylmethane), Collagen and Shark Cartilage, making Flexi-Care Plus ideal for joint, muscle, connective tissue and cartilage care. Flexi-Care Plus is an important part of preventive care for your joints and your tissues. MSM is a natural source of sulfur that helps multiple body functions. When pain and stiffness hit your joints this winter, think about Flexi-Care Plus rather than over the counter pain relievers. This maximum strength formula is essential in nourishing as well as helping the body to heal itself. Your all day energy source. This great tasting formula contains Tyrosine plus the complete B Vitamin complex. When you need energy throughout the day, reach for Get-Go-N Plus. With 80 milligrams of caffeine, this is less than an 8 ounce cup of coffee. Tyrosine is an amino acid that helps energize your body. It helps created greater mental awareness, and greatly increases the energy level. B vitamins are hard to obtain in our normal diets. That which we do eat is usually destroyed by the way food is processed. Therefore, we do need to replenish our B vitamins daily. This delicious apple-cinnamon flavored powered dissolves easily in water or juice. The B vitamins are perfectly balanced to mimic nature. If you need an energy boost, then look no further than Get-Go-N Plus. As you can plainly see, Biometics has something for everyone. If you want to start feeling better, start sleeping better and playing better, or if you just need more energy, then look into the Biometic’s product that suits you. You won’t be sorry you did.